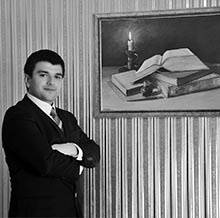 Attorney at Law İsmail Gökalp was graduated from Ankara University Law Faculty in 2009. He is particularly interested in Commercial Law, Obligations Law, Intellectual Property Rights, Property Law and continues with his master�s degree education at Ankara University Social Sciences Institute Commercial Law Chair. He knows English at intermediate level.